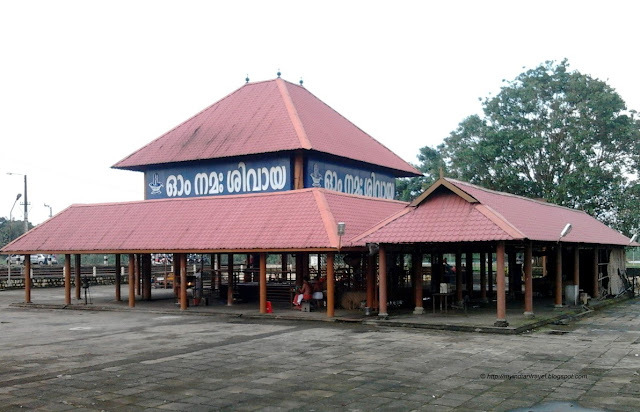 The Mahadeva Temple at Aluva on the sand banks of Periyar river. 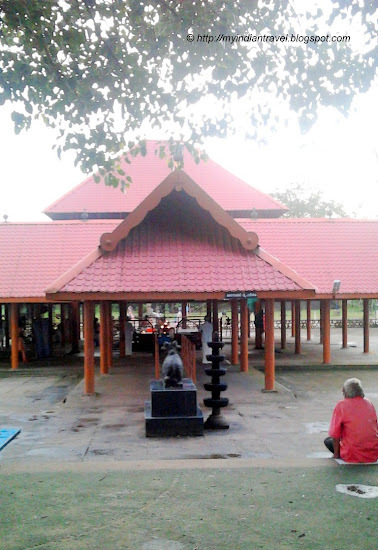 The unique feature of this temple is that the Shivalinga is not enshrined within the walls of temple. The temple has no walls at all i.e., it is a open temple. As per legend the Shivalinga is installed by Lord Parasurama and worshiped by Lord Sri Rama. The Shiva Linga faces east and there is a Nandi in-front of the temple. During the rainy season most of the temple is submerged in river. Interesting temple and also beautiful with all pillars and tiled roof! Nice capture of the simple temple. Hi Rajesh, Oh, my - hard to believe that the temple gets submerged in the rainy season. I'm wondering if that other building beside it also gets flooded? Happy spring to you and your family. I love the second photo! This interesting that it is so open, it is very welcoming because of this! Thanks for coming on my virtual tour of Victoria! Beautiful. I always get the desire to travel whenever I visit here. I like the open air concept! Cheers! What a beautiful place of peace! Interesting fact to know about this temple. It looks lovely by the riverside. Its indeed an unique place, thanks for sharing. Nice to know about the temple without walls. 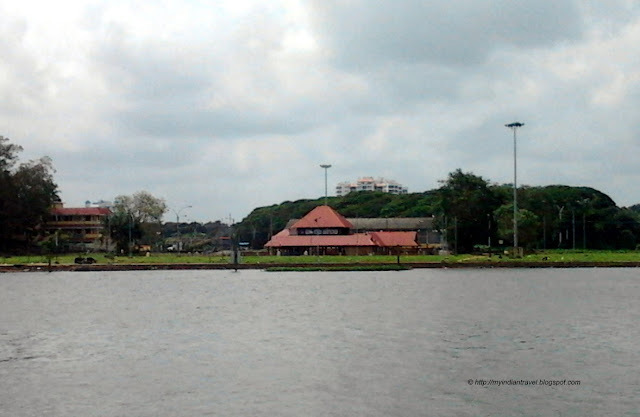 Interesting to know that in the rainy season the water from the Periyar takes over the temple.